Feeling a little overwhelmed trying to find the right Malta holidays package deal for you? My name is Ed, and I’m a tourist-turned-expat living in Malta. I’ve created MaltaUncovered.com to provide some local knowledge and sight and help you plan the perfect holiday in Malta, with some of the best value package deals on offer. Will you be renting a car or riding the bus? Public transport can get you pretty much anywhere but a rented car gives you more freedom and flexibility. Read more about car hire options and driving in Malta. Not sure where in Malta to stay yet? Have a look at my recommendations for the best locations in Malta for your needs. Would you consider booking a hotel and flights separately for more choice and flexibility? Have a look my recommendations for best hotels in Malta and how to get cheap flights to Malta. I also have an overview of accommodation in Malta if you’re looking for self-catering apartments, villas, B&Bs, etc. Prefer going for a package deal in Malta? Keep on reading! The below holiday options were hand-picked based on my knowledge of local hotels and resorts in Malta. My rule is: If I wouldn’t recommend a holiday package to a family or friend I won’t recommend it to you. DISCLAIMER: If you decide to consider any of the below options, you will be taken to holiday booking websites such as those of Expedia, Booking.com and Tripadvisor. These companies do not interfere AT ALL with my picks for holidays for you. I do, however, receive a little commission on bookings to help support my site. Although Malta offers a few good cheap and cheerful options, there are quite a few holiday package deals that are just plain cheap but don’t offer much to be cheerful about. Not least because in some cases you get charged for smaller things like Wi-Fi and air conditioning, which all add up. The best piece of advice: Always read the small print so you know what’s included and what is charged separately. For that reason, I only have two recommendations for you in this segment. I simply don’t trust the others that are out there and know too little about them to be able to recommend them to you with confidence. The San Pawl Hotel offers good value for money, which, considering it’s a budget option, translates to clean but basic rooms and facilities. A good option for a quick break or as a home base when you’re not looking to laze around in the hotel all day. The Carlton Hotel has been around for a while, located on the seafront of Sliema (bordering the neighbouring town of St. Julian’s), in a nice part of town. The hotel offers fairly cheap accommodation and gets the basics right. Clean rooms, good service, no frills. Good location to explore Sliema and St. Julian’s from. Buses to Sliema Ferries pass regularly and you can get boat trips and catch a ferry to Valletta from there. Free Wi-fi and satellite TV offered. Have the right expectations: Low rates because accommodation is basic. Good, but basic. Nice location but you can find much better options if you’re looking for a sun & sea holiday (although unlikely to be as cheap). The Park Lane Aparthotel is a little bit of a gem in an area that’s popular but where accommodation of a similar level is charged at higher rates. Despite its classical looking exterior, the apartments have a fresh looking interior and offer a good level of comfort at very reasonable rates. Good value for money – Comfort, free Wi-fi, satellite TV, air conditioning are all included. Within walking distance of Ta` Fra Ben, a small (rocky) bay that’s great for swimming and snorkelling. Renting a car? There’s very limited public parking in the area during the high season so consider public transport (the local bus terminus is right around the corner), pay for parking at the nearby San Antonio hotel or put up with having to drive around until you get lucky. The Seashells Resort at Suncrest was renovated recently and makes for a great family holiday option, with comfortable rooms, good facilities and nice location. 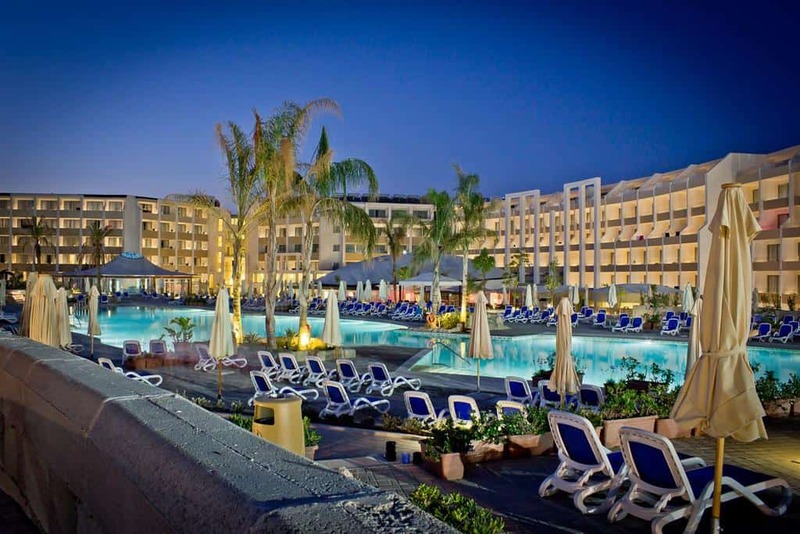 It’s one of the largest resorts in the area and is located on the seafront of Qawra. Renting a car? As mentioned above – public parking is very limited here, especially in summer. It’s worth getting a sea view room if you can afford it. I’d also recommend getting a room on one of the higher floors. Hotel Juliani is a very stylish, modern hotel that isn’t necessarily the biggest around but definitely one of the nicest and most comfortable. Located in the Spinola area of St. Julian’s, you’ll want to go for the Sea View rooms here – they’re not cheap but worth the extra cost. If you’re looking for a family holiday in the area, there are other options around that might better suit your needs. 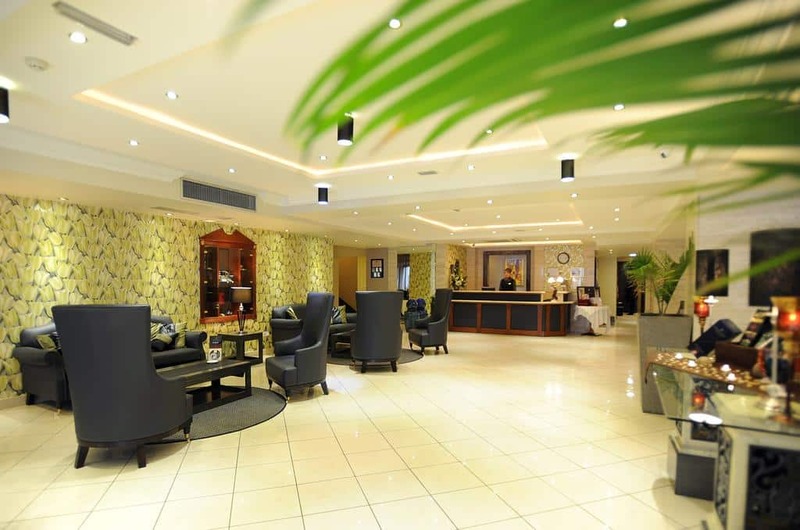 Located in a fairly quiet village in the North of Malta, the Maritim Antonine Hotel & Spa offer a comfortable stay at reasonable rates, with modern interiors and good service. Good option for a family holiday (offer babysitting/childcare at a surcharge as well). Little to no entertainment and nightlife is limited in the vicinity. You can go for a stroll, maybe have a drink at one of the few pubs around, but that’s about it. Mellieħa is a quiet village that’s surrounded by nature and some of the best beaches around the Maltese islands. However, public transport is limited and transit times can be pretty lengthy. You’re better off renting a car when staying in this area, if you’re a confident driver. Located towards the upper end of a steep, relatively busy road. 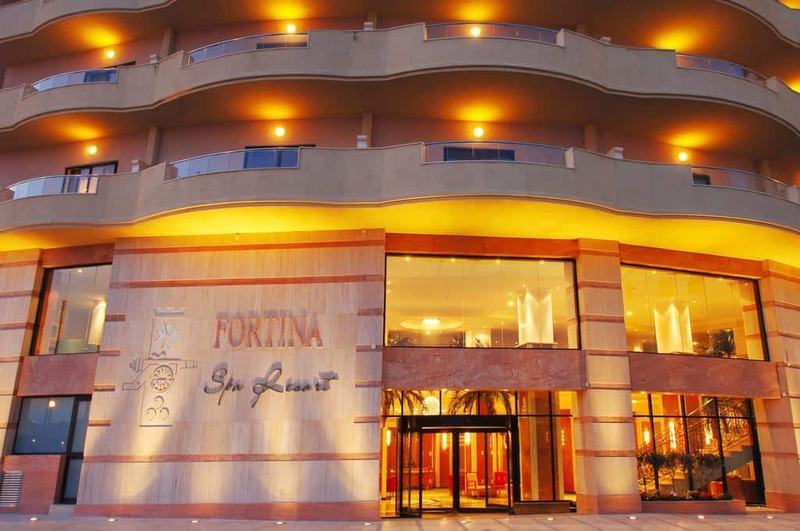 The Solana Hotel & Spa is located right up the road from the Maritim Antonine Hotel & Spa and makes for a good alternative option to staying in Mellieħa, but only if places like the Maritim and Seabank are fully booked. The Solana will do just fine for most people, but those two options simply offer better value. Close to the nicest sandy beaches in Malta. If rates are similar and rooms are available, the Maritim Antonine (reviewed above) is a more modern alternative with nicer interiors. Located towards the upper end of a steep, relatively busy road. Avoid the street-facing rooms (to avoid the sound of buses driving up the hill in low gear every 20 minutes). With a more quiet location in the heart of Mellieħa, the Pergola Club Hotel & Spa is a reasonably priced holiday option that offers good value for money with good-sized hotel rooms and self-catering apartments. Clean, comfortably furnished rooms and apartments. Perhaps a little outdated but well-maintained. Although there’s a bus stop right outside the hotel, public transport is limited and renting a car is recommended. Do enquire about paid parking rates at the hotel as public parking in the area is fairly limited during the high season. If you’re set on using public transport, walk to the main street to catch a bus there – you’ll get to where you want to be (the big sandy beach to the North, for example) quicker. Sea view rooms come at a surcharge but it’s worth paying for, particularly on the higher floors. Don’t be fooled by the 4-star rating, it’s more of a 3-star hotel, but with modest rates to match that rating. Location: Outskirts of Mellieħa (close to Armier Bay and Ċirkewwa – the northern-most tip of the island of Malta). The unique thing about the Ramla Bay Resort is its location. Despite being an island, Malta offers surprisingly few locations that are this close to the open sea and with several options of clean sandy beaches around. Besides the lovely location, the resort itself offers high-quality accommodation and makes for a great option for families looking for an all-round holiday package. Good facilities, friendly staff, entertainment, bars and a restaurant – an all-around solid package. Looking to explore the area and beyond? Renting a car is highly recommended due to the relatively remote location. The hotel built a new wing recently and offers brand new suites and self-catering apartments as well. Don’t expect the rates to be as attractive as the standard holiday package offers, however (not least because of their proximity to and view of the sea). With recent building works only coming to completion now (summer 2017) the hotel isn’t running the way it should. I would only seriously consider this option for summer 2018 onwards. The Dolmen Resort & Spa has built a solid reputation for being a quality resort with pleasant interiors, good service and good amenities all-around. Located in the popular tourist area of Buġibba, right on the seafront. The resort is a good option for all-inclusive family holidays in the area, although I expect they’ll need a bit of a makeover soon. That’s reflected in the rates, to be fair. Good food offered by its restaurants and cafes. Alternative restaurants are aplenty in the area. Keep an eye on the rates of other options in the area for your chosen dates, especially in the high season. The db San Antonio is of a similar level but recently refurbished, for example. Sea view rooms come at a premium, but don’t expect to enjoy the view with a cold beer in hand – unless you’re on the top floor, the balconies are small. Located a 2-minute walk away from the seafront, the db San Antonio Hotel & Spa is one of the best options in the areas for family holidays, with a modern interior and well-furnished and decorated rooms. Recently refurbished and offering high-quality facilities. Large pools, good-sized gyms, great spa and saunas as well. The on-premise restaurants get good reviews. Good alternative restaurants in the area as well. If you’re keen on driving but want to avoid the local parking headache – the hotel offers paid parking underground. There aren’t many weak points but the food isn’t always top notch, nor is there an awful lot of variety and it’s mostly buffets here. The Salini Resort has become one of my favourite all-inclusive options in Malta, having been refurbished recently and taking a big step up in terms of quality. Modern, well-furnished rooms, great facilities and some of the best food a local resort can boast of on its premises. Great facilities – Myoka spa, indoor/outdoor pools with jacuzzis and saunas and a gym, etc. Excellent food, from delicious pizza and pasta to gourmet-level steaks and fish at its well-known restaurants. Free parking available on-site, if you’re renting a car. The location doesn’t matter much if you want a comfortable all-inclusive holiday, but if you want to add some sightseeing to the itinerary you depend on public transport (buses) and the hop-on/hop-off bus that pass from in front of the hotel. Perfectly doable but also good to consider car hire if you want to do some proper exploring. The one real let-down – and it’s a big shame which is outside of the resort’s control – is that there’s a landfill a couple of miles away. If you’re unlucky with the wind direction you can notice a faint, but unpleasant smell. It’s personally not something I’ve noticed there myself but I’ve heard a complaint about it recently and the landfill is known to emanate a bad smell from time to time. Would it stop me from booking? No. Part of the larger Corinthia St. George’s Bay complex, the Marina Hotel Corinthia Beach Resort is a family-friendly all-inclusive option in a nice part of Malta. Although not the best location for sightseeing, if a relaxing holiday near the sea is your top priority, this is a solid choice. Dining options in St. Julian’s are within walking distance, but not exactly around the corner. Located on the far end of town. Bus connections aren’t great here and a rental car is recommended for those looking to explore. Located right at the edge of Malta’s largest sandy beach, the db Seabank Hotel Malta Resort + Spa is an excellent option for an all-inclusive family holiday in comfort. Although the resort itself is rather large and can get busy during the high season, it’s located in a fairly quiet area on the outskirts of the village of Mellieħa. There are few all-inclusive holiday resorts in the area so book early (6+ months minimum)! If you decide to rent a car in the high season you’ll need to factor in the cost of parking on the hotel’s premises. Public parking is very limited in the vicinity. If you decide to book a sea view room at a premium, floors 4-8 are your best bet for the quietest rooms. If Sliema isn’t at the top of your list there are better options (above). Nothing really wrong with the Preluna, but it’s just OK – as is its location. Alternatively, opt for half-board and have a look around at the other hotels in Sliema that I’ve listed. It’s easy to find luxury Malta holidays package offers around, though not every luxury 5-star hotel or resort in Malta deserves its 5th star necessarily. When it’s not the case it’s often because the location is either exclusive or hard to find elsewhere. I’ve listed a few options for you. Some are an excellent option for a lazy luxury holiday, others offer you luxury in an amazing location while a few can actually offer you both. When budget isn’t an issue, the Hilton is one of the top recommendations around for a luxury holiday. Consistently getting high ratings for offering 5-star luxury right to a T, the Hilton boasts large outdoor pools, spas, comfort and service of the highest level in Malta. The perfect “check in and relax in luxury” resort that gets the important details right. Consistently. Modern rooms with luxurious finishings and boasting great views. Located close to the nicer parts of St. Julian’s with a great choice of restaurants and bars/pubs, and nightlife on the Paceville side of town. Parking is notoriously hard to find in the direct vicinity so if you’re renting a car you’ll need to make use of the underground parking garage. The Westin Dragonara has been a staple in the luxury accommodation bracket for almost twenty years now and has kept up with the demands of those seeking a high-quality holiday experience, continuing to get good reviews from its visitors. It’s a family-friendly resort, though doesn’t feel touristy and crowded even in mid-summer. Comfortable rooms and all the facilities you’d expect from a 5-star resort. Good spa and recently renovated, well-equipped gym. Food served in the restaurants is of a high standard, as is the service. If you’d like to venture out, you’re in a great spot for some great clubs and other nightlife venues, yet you’re also close to the quieter parts of St. Julian’s (Spinola and Balluta Bay) and the restaurants and pubs you’ll come across there. If you have special requirements do get in touch with hotel staff in advance. They’re known to be courteous and helpful. The sea view upgrade is worth your while, particularly on the South-facing side of the resort. Although family-friendly, St. Julian’s is not the ideal place for younger children unless the resort itself is all that matters on your holiday. The Palace is a lovely luxury hotel in the heart of one of the more popular tourist locations in Malta. If luxury and comfort are your primary objectives, you’ll be served very well. If exploring the local culture and sightseeing are important, however, perhaps the location may not be ideal. The Palace has a reputation for offering a very high standard of accommodation and facilities to match. If you’d like to try a few different restaurants and bars/pubs, you’ll find a good selection in the vicinity. As mentioned, for sightseeing the location may not be perfect. Sliema has become pretty urbanised over the past couple of decades with quaint historical houses making room for high-rise buildings. It is, however, fairly easy to reach Valletta by ferry across the harbour and to take a few boat trips up to Gozo and/or Comino. All it takes is a 5-10-minute walk down to The Ferries (location at the South-facing seafront of Sliema). Renting a car? You’ll want to make use of the paid underground parking that the hotel offers. Sliema is notorious for its lack of public parking. With a small private beach, large outdoor pools and landscaped gardens, the Grand Hotel Excelsior Malta offers tranquillity in an area you’d expect to be busy: On the doorstep of Malta’s capital city of Valletta. It’s a good location to explore the city from, whilst enjoying luxurious comfort. Their restaurants get good reviews, but with the level of restaurants on offer in Valletta you should definitely dine out. These are my recommendations for restaurants in the capital. 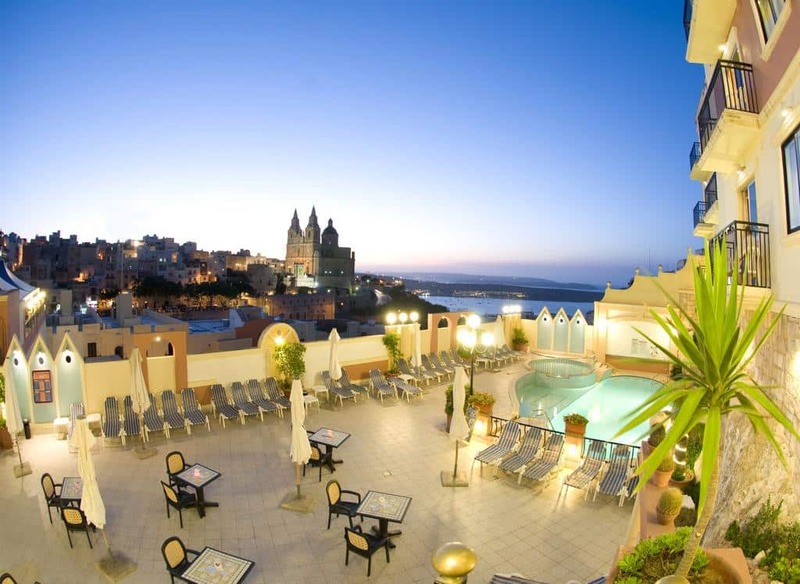 The hotel is located on the outskirts of Valletta, downhill at the harbourside. If you’re not comfortable walking uphill to get into the city you should consider one of the other options below. It’s a 5-star hotel but misses 5-star quality in some of the detail and some of the decor that looks a little dated in places. Also, they have a price list for every single item in the room in case you’d like to keep anything as a memento. A little… quirky, to say the least. Casa Ellul is a 4-star luxury hotel in the heart of Valletta. If you’re disappointed by the 4 stars, hold on. The accommodation itself is of a very high standard but part of the luxury is the location in the middle of the Baroque architecture that Malta’s capital city is known for. This exclusive property boasts just eight rooms that offer a peaceful and comfortable stay. Recently refurbished and redecorated with tasteful interiors. Out of eight suites, try to book suite 7 or 8 for a private rooftop terrace with outdoor jacuzzi. The Xara Palace Relais & Chateaux offers truly unique luxury accommodation that you’re unlikely to find anywhere else. It’s hidden away in one of the alleys of the medieval city of Mdina, also known as the Silent City. The hotel isn’t for everyone. Although it has the facilities and comfort you’d expect of a 5-star property, being housed in a 17th-century building, luxury has its limits here. You could say that it’s part of the charm. Don’t expect pressurised water systems, for example. It’s all about the location and the quaintness of the hotel itself. Although Mdina is a bit of a tourist hotspot (although not overly busy, let alone crowded), you’ll want to venture outside its bastion walls to do your sightseeing. It’s a very small place so there isn’t an awful lot to do and see. Although public transport and hop on/hop off buses are easy to reach just outside the city’s gate, if you’re planning to stay longer than three days it might be worth renting a car. A few of the suites offer an outdoor jacuzzi with breathtaking views over the valleys below. Definitely worth booking if available. Book well in advance (6+ months)! Another resort offering a unique location is the Radisson Blu Golden Sands at Golden Bay, one of the nicest sandy beaches that Malta has to offer. Although it’s a slightly remote location, you’ve got all the luxury and amenities you need for a comfortable, high end stay. If you’d like to venture outside of the area you’ll probably want to rent a car. Parking is available on the premises of the hotel, as well as just outside its perimeters. The resort offers a few great restaurants but dining options are limited. If you’re not a fan of hotel food or you prefer flexibility and cooking your own meals, there are some really good options for self-catering holiday rentals in Malta. Located in the centre of Buġibba (nearby towns of Qawra and St. Paul’s Bay), the Sunseeker Holiday Complex offers self-catering apartments at rereasonable rates. Recently refurbished, this aparthotel is a good option if you’re on a budget but don’t need hotel facilities and services. With bright, modernly furnished apartments, Jules Suites offer a great option for when you want comfort away from home, with everything that you might need for an enjoyable holiday. One of the best self-catering options in an area where accommodation is in high demand. The location isn’t the best home base for sightseeing. Public transport connections are good but you’ll need to factor in travel time to get to pretty much anywhere (including nice beaches to swim at). Public parking is limited so that can be a headache if you decide to rent a car. Located close to the seafront in a nice part of Sliema, Depiro point offers comfortable self-catering apartments that are modern, airy and clean at very reasonable rates. Good value: High-quality apartments with all the amenities you’ll need in a popular location where accommodation is charged at a premium. Excellent choice of restaurants and bars/pubs in the area and you can enjoy one of the local lido’s for some poolside sunbathing. Although from the Sliema Ferries you can catch a boat to a few key places around the Maltese islands quite easily, you’ll need a bus trip to get there. You can rent a car and park on the premises but at a surcharge (€7 per night). The Pebbles Boutique Aparthotel is a great self-catering option for those looking to stay in Sliema. With a good level of comfort, it’s a very good alternative to Depiro. The biggest difference is the location, which is right opposite the Ferries from which you can get to places like Valletta, Gozo and Comino easily. Public transport connections are also good from this part of Sliema. This is a pretty urbanised and commercial part of Sliema (and of Malta as a whole). It tends to get pretty busy in the area, particularly on weekends. There’s no parking available on the premises and the locals practically kill each other to conquer a parking spot at the seafront. Your only real option is parking at the nearby shopping centre at a cost of €10 per day. 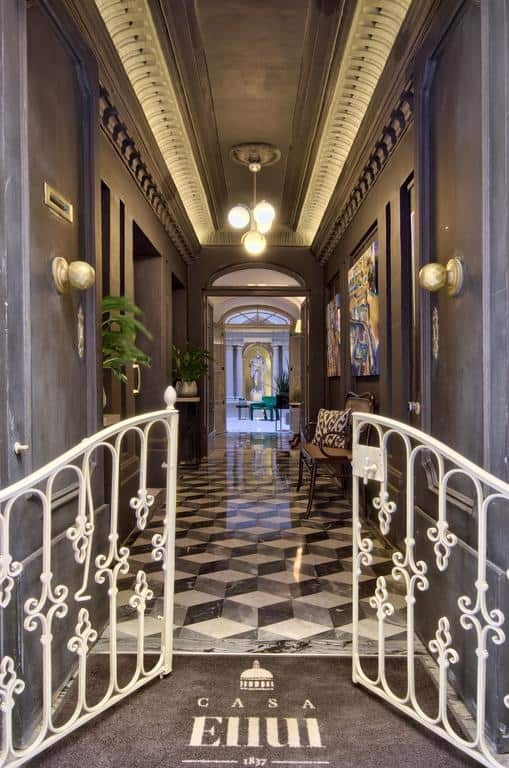 Whereas accommodation in Valletta was limited to a few exclusive hotels not too long ago, in recent years some of the capital’s age-old buildings have been lovingly restored and divided up into apartments as part of boutique hotels that have been popping up all over town. 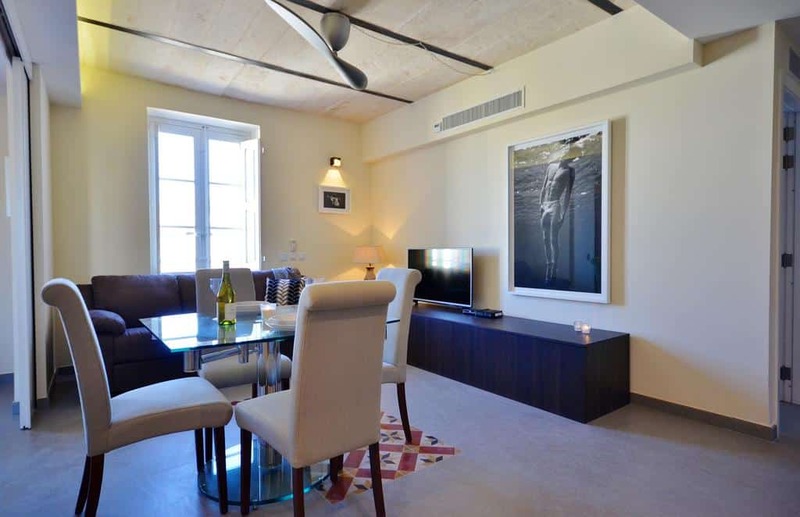 Valletta Boutique Living Apartments are a great example of how well that can work out. With limited supply, big demand and high-end accommodation these apartments can get pricey. Book well in advance for the best apartments (6+ months)! Barrakka Suites also offer high-end boutique apartments but arguably offer a little more value in terms of comfort and also location. The place is right outside the Barrakka Gardens in the south-east corner of Valletta, which is a lovely place but also a great starting point to explore the city from. If I could choose one place to stay in Valletta (and had the budget for it), this would be it. Depending on the time of year of your visit, these apartments can get pricey. Some of the stairs inside are pretty narrow so might not be suitable for everyone. On the luxurious side of boutique-style apartments in Valletta, Palazzo Prince d’Orange has established itself as the self-catering option of choice when budget is not an issue. Located in the heart of Valletta, yet offering peace and quiet. Book well in advance (6+ months). Most operators offer a good variety of package deals with hotels that suit different budgets. Whichever you decide choosing, always keep in mind that you get what you pay for: If you’re looking for a comfortable stay, the budget options may not always be the perfect choice. Most flights offered are operated by budget airlines such as Ryanair and Easyjet. Always check the flight conditions if you decide to go for a package. Operators could be cutting corners (like lower baggage allowance, no cancellation) to be able to offer lower prices. More on flights to Malta here. Malta is a fairly small country and with tourism on the increase the options for accommodation (particularly in the high season and for the more popular areas around Buġibba and Sliema/St. Julian’s) run out quickly. If you can afford to, it pays to book your holiday early on! Since June 2016 an Eco Tax (which had already been a popular money-making scheme for local governments across Europe) will be charged when you arrive. It’s not much at least: €0.50 per adult (18+ years) per night, up to a maximum of €5.00 per person per stay. It’s mandatory for all local businesses offering lodging. Most hotels and resorts will offer airport transfers at an additional cost. If you’re staying on the main island of Malta (as opposed to Gozo or Comino) and you’re being charged more than €30 for up to 4 people for a single trip, you’re better off booking your own taxi. It might be a moot point to make but keep in mind: Family-friendly usually also means that a resort isn’t particularly peaceful or quiet. If you’re a couple and that’s what you’re looking for, avoid all-inclusive packages in Malta (particularly during the high season). If hanging out by the pool isn’t the only thing you want to do on your holiday, choose your location carefully! You can find advice on where best to stay in Malta here. Are you considering other Malta holiday packages? Leave a comment below and I’ll help with more info when I can! Im going to hotel Cailiveri Art Hotel for Christmas. Any info on this hotel? Hi Lorraine, it’s a decent hotel but in need of a bit of a facelift – haven’t been there myself in a while though. I suspect they’ve adjusted their rates for that. Location is pretty good as some parts of Malta that are popular in summer will be quiet and St. Julian’s is an exception.